FREE Shipping Sitewide at Blair.com = Great Deals on Clothing, Home Goods & More! For the entire month of August, you can get free shipping on every single item at Blair.com, no minimum! Blair specializes in women's and men's clothing, jewelry, housewares, appliances and more. I'd definitely check out their Clearance section. 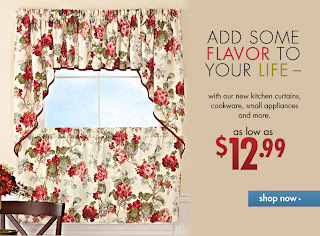 Prices start at just $2.99 for appliance covers, placemats, and more.